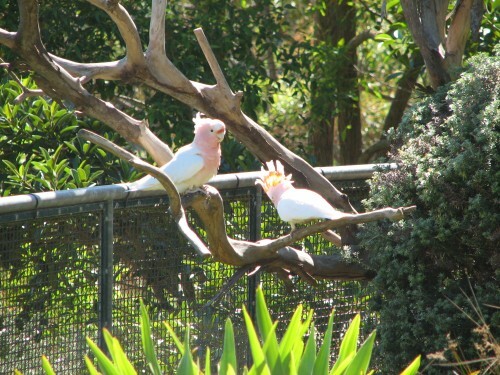 The Major Mitchell Cockatoo has to be one of Australia’s most beautiful birds. I also do not yet have a great photo of this species. 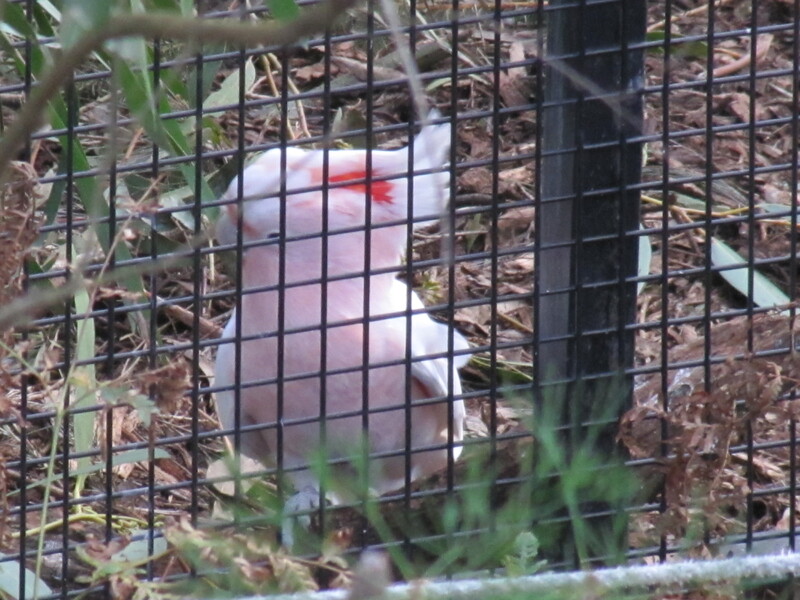 The individual shown in today’s photo was in one of the aviaries at the Australian Reptile Park, near Sydney. Just seconds before I took this photo it had its crest up. I waited and waited, but it didn’t lift the crest again and we had to move on. I think I will have to camp out on the farm where I grew up. 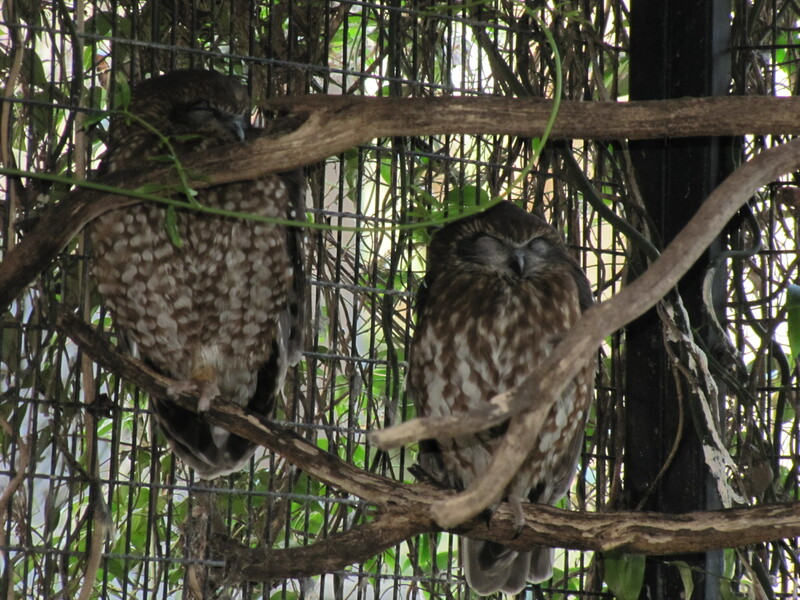 That is where I last saw this species in the wild, but I was too slow with my camera before they flew off. 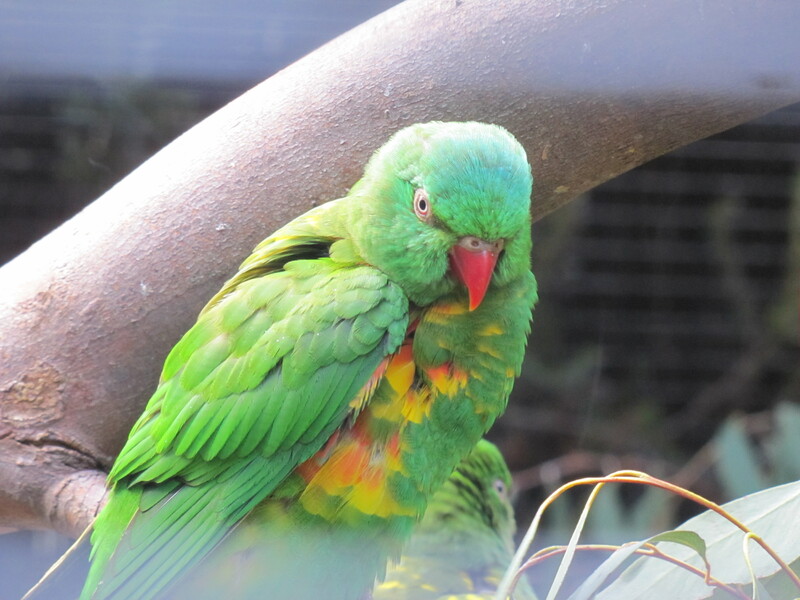 You can see several other photos of captive birds here. 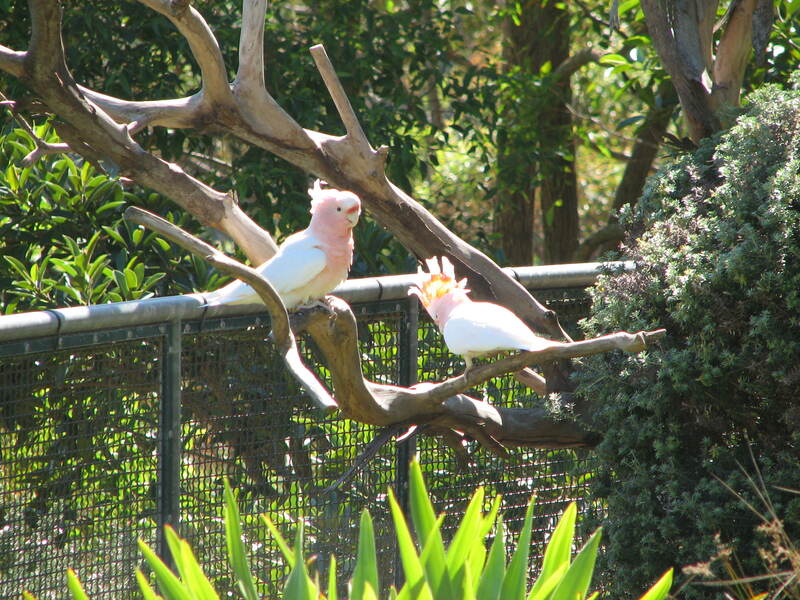 The photo below I took of two cockatoos during the Bird Show at Taronga Park Zoo some years ago. 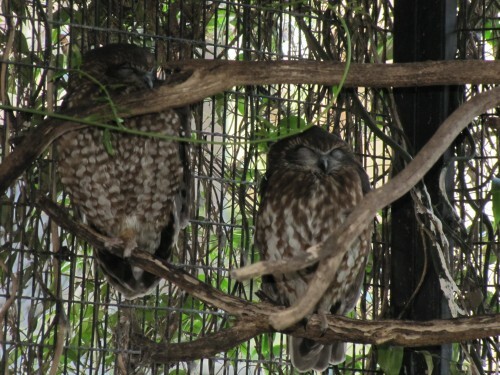 These are trained birds, not wild ones. I think that the title of this post says it all. 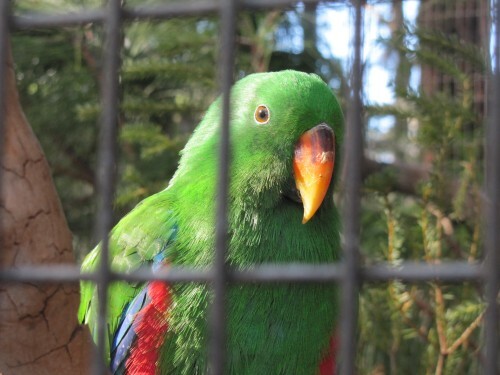 The quizzical look this male Eclectus parrot is giving me speaks volumes. If only we could tell what he was thinking. The photo was taken at the Australian Reptile Park near Gosford, north of Sydney. 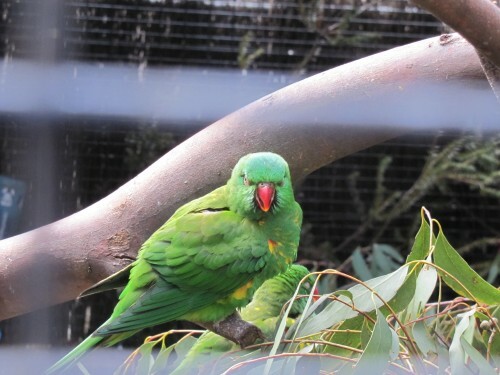 Last month my family and I visited the Australian Reptile Park north of Sydney. 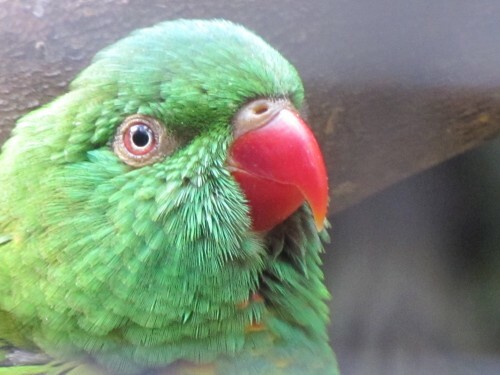 As well as a great collection of reptiles the park also boasts a good collection of birds in aviaries. I have featured some of these over recent posts and have still a few more to add in the coming days. The setting of the park near the town of Gosford is in the heart of forested areas of the Blue Mountains (part of the Great Dividing Range in eastern Australia). Because of its location the natural birdlife is quite prolific. 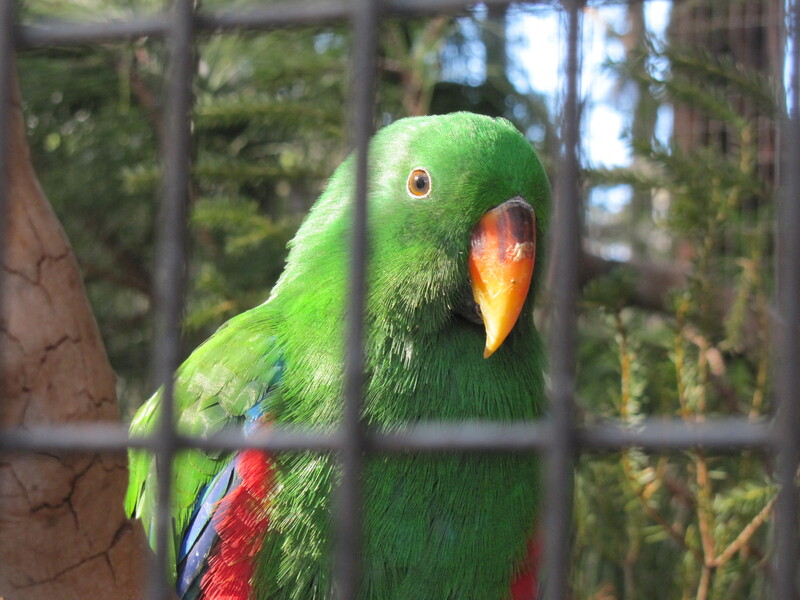 Some of the wild birds take advantage of the food provided for some of the animals, including the caged birds. 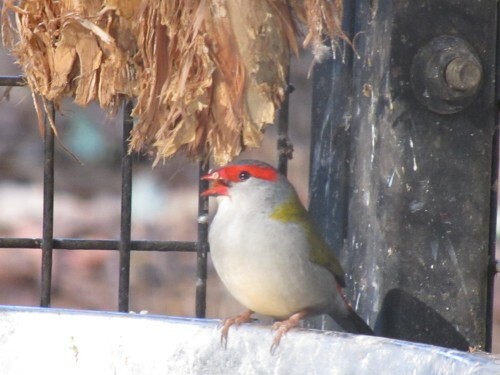 The Red-browed finch featured in today’s photos is one such species. They were able to fly in and out through the wire of the aviary holding much larger parrots. This gave them easy access to the seed trays. It might have been easy for the birds, but taking their photo was not easy for me; I had to avoid getting the wire in the photo. Shooting through the wire of an aviary is always a challenge. 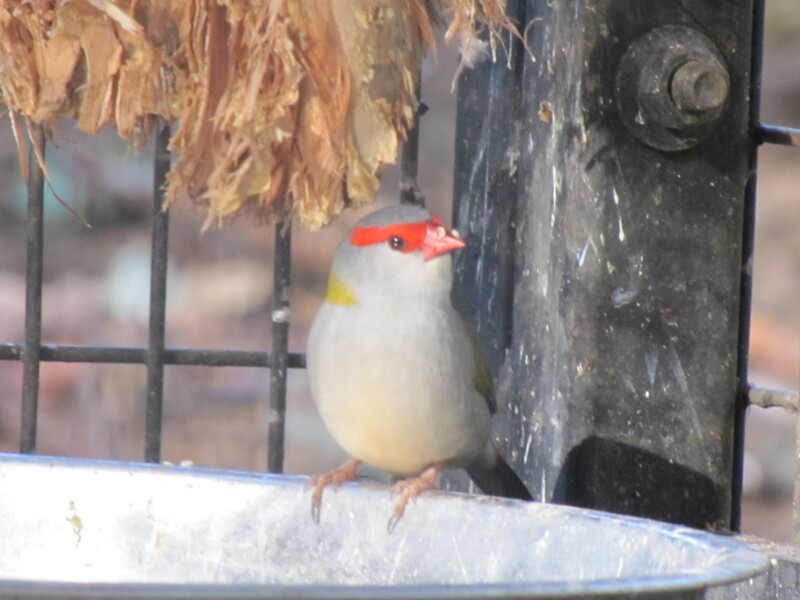 On this occasion there was an added challenge to getting these birds in focus: the finches were a little coy and keep just out of view behind the parrot feeding tray. 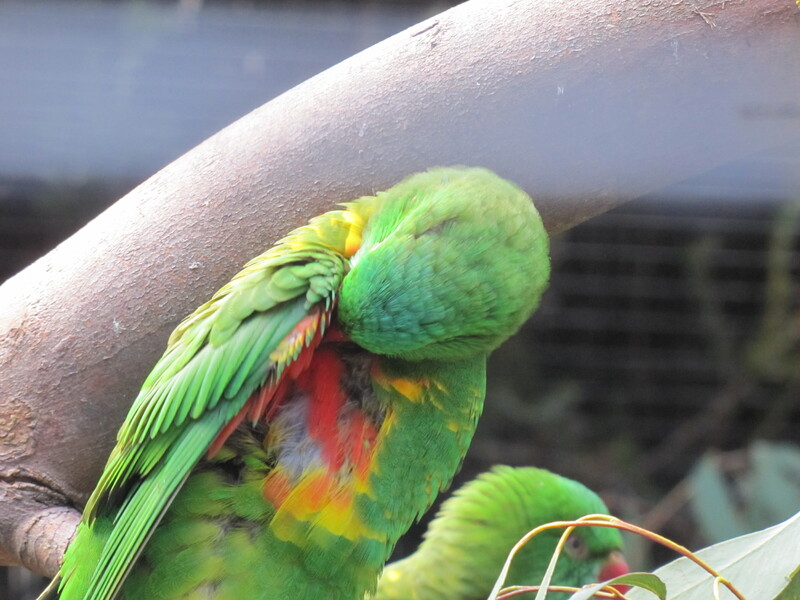 I’m not sure if they were just a little shy, or that the parrots had spilled all the best seeds out of the tray. You are currently browsing the archives for the Aviaries category.